The first account book for the Church starts in 1793 by stating that Thomas Bissicks had died and that he had been Minister for about 40 years. His name appears on the first Certificate in 1747, so he could well have been Minister from the beginning, or one of the Elders of the fellowship, who was regarded as the Pastor. Thomas would have been the Minister in Thornbury at the time of the building of the first Chapel in 1789, but when he died his will describes himself as being ‘of the Hamlet of Oldland in the parish of Bitton, coal miner. At present we know little of Thomas Bissick’s family background but in his will he left his ‘monies, goods chattles etc’ to his wife. Later in the will he mentions ‘all my Leasehold and Real estate together with my Share or part in the Coalery’. He signs his will and is probably a literate man of moderate means. We understand that he was referred to as a colliery manager of Warmley in a Felix Farley Gazette of 1788. We have been told by his descendant Ann Harding that Thomas was baptised at Oldland on 26th March 1719 and that he was probably the son of Richard and Hannah (nee Tybott). Eventually in March 1741 John Wesley declared that the Kingswood Church was no longer members of the ‘Band Society.’ Thomas Bissicks and his friends were said to be taken aback by this but soon accused John Wesley and his brother of preaching Popery. Thomas and Johanna married at St Phillip and St Jacob’s Church on 19 September 1742. The marriage took place only days after John Cennick, whom John Wesley had appointed a teacher at Kingswood School, noted in his diary that he had chosen Thomas as one of his stewards for the ‘Society’. John Wesley’s diary relates that as he continued his journey in the West Country and into Wales the high feelings on this topic continued. Finally in October when he reached St Brides in the Moor, where he preached and then retired with a group of friends he was again approached by Thomas Bissicks, this time with a Mr Humphreys. Thomas again introduced the matter of the dispute and the heated argument continued until late. John Wesley himself left them to it at 1am but apparently Bissicks and his friends kept on the discussion until 3 o’clock in the morning. It is interesting to speculate on the nature of the Baptist Church in Thornbury as it must have been under the leadership of such a very determined and fiery man. According the Church’s history in the ‘250 Years’ booklet, during the period from 1793 to 1832 an arrangement was made with the Bristol Baptist Academy to send out student preachers to cover the services in Thornbury. The Rev Thomas Fereby came once every two months from Chipping Sodbury to hold Communion service here. We don’t know where Thomas stayed when he came to Thornbury but the Church’s account books include items of paying for ‘horse at the Inn’ so at least his horse was looked after. Thomas is mentioned on the Internet on a website relating to the history of a house in Horse Street Chipping Sodbury where Thomas was the tenant when the house was being sold on 2nd August 1790. Thomas was listed as a Baptist Preacher in the 1791 Universal British Directory of Chipping Sodbury. Thomas died in 1808 aged 76. The notice of his death said that ‘he had spent 52 years in the discharge of his duty, as minister of the Baptist congregation in that town; and to whose sterling piety and unblemished reputation all who knew him bear ample testimony.’ The Family Search website shows Thomas had married at Chipping Sodbury on 9th May 1774. His wife was named Hannah Heaven. We are grateful to a fellow researcher, Heather Palmer, for sharing with us her notes on William and his family. William Jarman Cross was born in 1796. His father was William Cross, a Bristol merchant. Heather discovered that there was a William Cross & Son, Merchant/Commercial Broker of Broad Quay and at Cannon’s March with a residence at Kingsdown appearing in the Bristol Trade Directories between 1830 and 1844. Between 1824 and 1843 advertisements for a William Cross & Son, ships broker, appear in numerous editions of The Bristol Mercury and by 1843 his business was being conducted from 57 The Quay, Bristol. Ships departing from Bristol were headed for New York, Boston, Montreal, Quebec, Hobart and Sydney. According to the 1841 Census William Cross senior was living at St. James Place, Kingsdown with his wife Elizabeth and son Edwin. 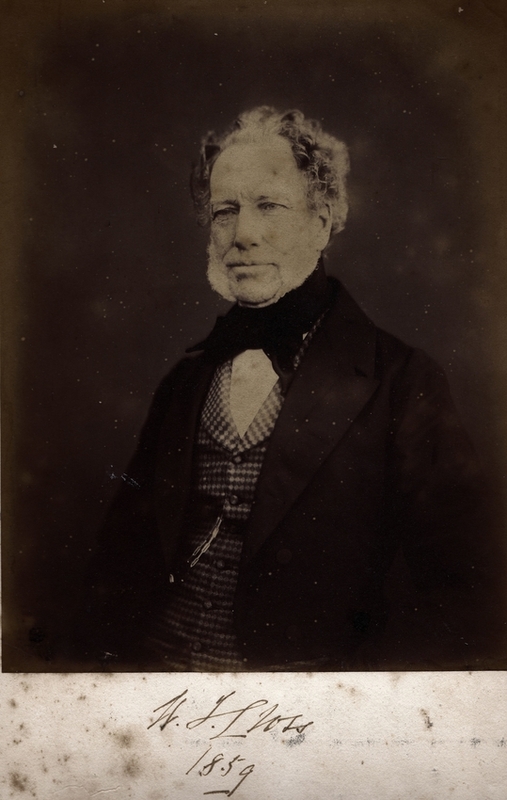 His occupation was given as merchant and by 1851 he was aged 76 and living with his daughter’s family at Chudleigh House, Clifton and his occupation was given as shipowner, born Somerset. In a book in Bristol Records Office entitled ‘Bristol Privateers and Ships of War’ a William Cross and a Rice Price were the owners of a 179 ton ship named “Diana” which had 14 guns and 18 men and was in operation during 1807/1809. The ship carried a letter of marque which entitled merchant ships engaged on ordinary business to be legally given the right to attack and make prizes of enemy vessels. The enterprise does not seem to have been successful as the bankruptcy of the partnership was announced in 1815. An article printed in the Western Daily Press on 31st August 1943 shows that William was accredited with the building of the Baptist Chapel at Burnham on Sea and that he had become totally blind in his later years before he died at his home, Langford House (named after his birthplace), Whiteladies Road, Clifton. On January 11th 1832 at a meeting in the Thornbury Baptist Church Mr Dorney proposed that William Jarman Cross should be invited to be pastor in Thornbury as he had been preaching for some months. The meeting unanimously agreed that Mr Dorney should write to invite him. On April 23rd the committee read Mr Cross’s acceptance letter and William (Jun) moved to become Minister at Thornbury Baptist Church where he remained until 1844. 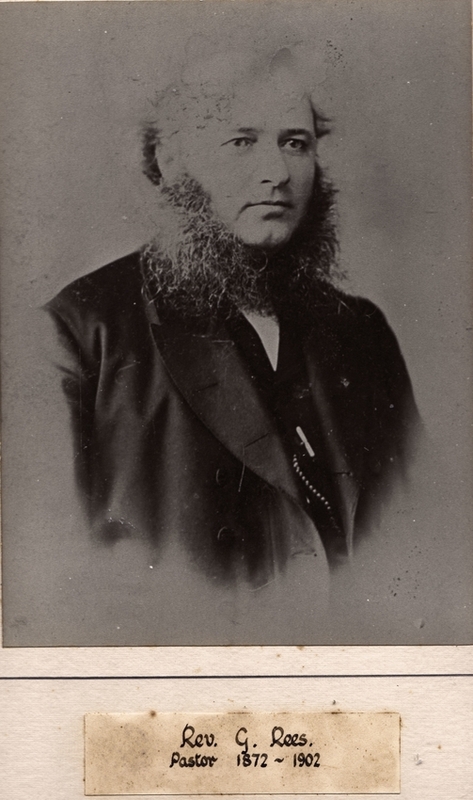 ‘While in Thornbury he distributed 8000 copies of the scriptures. The Church through generous gifts from his father was able to start the work at Morton (1834), Berkeley (1835) and Tytherington (1841). He was a strict disciplinarian and when in the spring of one year the church allowed a member, who had opened a beer shop, to keep it open until Midsummer, he had his way and the member agreed to stop at once. On the open Communion, they were not so sure and in 1832 the decision was deferred from Church Meeting to Church Meeting, until after at least four meetings, it was agreed to ‘admit pious Paedo-Baptists to the Lord’s Table’. Members were dismissed for fornication, and slander of fellow members. Frequent days of prayers were encouraged, with the result that the Chapel as mentioned above could not contain them and had to be extended. Many Paedo-Baptists were also baptised. When he resigned from the Pastorate the Church had 78 members and 210 children in the four Sunday Schools‘. The 1840 Tithe Survey shows William was living in the property now known as 8 The Plain. It was then described as Plot 255 – a house and garden owned by Isaac Roberts and occupied by William Cross. The 1841 Census shows William as a Dissenting Minister aged 45 and living in the house with his wife, Mary aged 30 and Elizabeth aged 6. In Gloucester Records Office we found a list of notes attached to the Tithe Survey which mentioned that Dr J. William Cross was the occupant of an adjoining property, Plot 254, a yard with schoolroom owned by Samuel Leonard. According to Baptist history books the Reverend Cross was very much an activist initiating change in the first year of his ministry, 1832. He visited his congregation in their own homes when bad weather had set in and he encouraged female members to hold prayer meetings. William was married twice. His first marriage took place at Thornbury on 29th March 1832 when he married Margaret Anne Shearman, the widow of Captain Francis Shearman of the 26th Regiment of Infantry. Margaret was born on 24th January 1794, the daughter of Morris and Margaret Anne Robinson. William and Margaret had a daughter, Elizabeth, who was born in 1834 and a son, William Edwin, who was born in 1835 but the latter died on 2nd April 1837. Margaret herself died a few weeks later on 6th May 1837. She and her son were buried in the graveyard at the Baptist Church. William married again on July 3rd 1838. His second wife was Mary Elizabeth Ward, the daughter of the late John Brickdale Ward of Upper Hazel. The Bristol Records Office has a marriage settlement dated 30th June 1838 for Reverend William Jarman Cross and Mary Elizabeth Ward of Upper Hazel. We understand William was being given some of the Ward’s lands in Olveston and Henbury on the condition that he would pay the Ward family £1000 in the event of Mary’s death. There is an interesting little article in the Bristol Mercury dated 21st February 1841 which shows William refused to pay the Church Rates. As a consequence a portion of his furniture was seized and disposed of. This seems to reflect what was a national issue. Nonconformists naturally resented paying a Church Rate if the Church in question was to be the Church of England. He expressed his intention of moving to Gloucester. It seems that William was an important figure in the wider Baptist Church. A newspaper report in the Bristol Mercury of December 25th 1847 describes William Cross as the ‘honorary superintendent for the western counties.’ By the 1851 Census he was living not in Gloucester but in Bristol, at 2 Claremont Place, Clifton. He was now being described as a house proprietor aged 54 living with his wife, Mary aged 43 and daughter, Elizabeth aged 16. On 2nd July 1853 Elizabeth married John Allen of Burnham on Sea in Somerset at St Andrew’s Parish Church, Bristol. In 1853 a newspaper report makes it clear that William Cross was continuing his campaign against state interference in the church. At a meeting of the ‘British Anti-State-Church Association William read out the strongly worded report from the executive committee and in 1857 he spoke at the a meeting of the ‘Society for the Liberation of Religion from State Patronage and Control.’ Other reports show he was also very active in the Bristol City Mission Society of which he was a secretary. By the 1861 Census William and Mary were living at 12 Belle Vue, Clifton. William continued his activities in the Baptist Church and the Bristol City Mission. In 1863 he attended a meeting in support of President Lincoln and his anti-slavery policy. They were living at the same house in the 1871 Census. William was now being described as a land and house proprietor. William died on 27th November 1877 aged 81. In the 1881 Census Mary was living at 68 Ashley Road, Bristol aged 73. She died in Bristol in 1901 aged 92. John was born in Westbury Leigh, Wiltshire about 1804. He was the son of Robert Eyres and his wife, Hannah (nee Cook). On August 9th 1837 the Bury and Norwich Post and East Anglian announced that the marriage of Rev John Eyres of Otley Hall to Sarah eldest daughter of the late James Sly of Regent St London had taken place on 26th July at Paddington. By the time of the 1841 Census John and his wife Sarah were living in Uley. John was described as being Independent (which normally means he had a private income) and he was living with Sarah and two children, Sarah aged 2 and John aged 1. John moved to Thornbury in 1844 when he was invited to become the Pastor at the Baptist Church. His first service as pastor in Thornbury took place in January 1945. In the 1851 Census John lived in the house at 9 Pullins Green with his wife, Sarah. John was aged 47. Sarah was aged 36 born in London. They had three children: John aged 11, Sarah Eliza aged 12 both born in Otley, Suffolk, and Edwin J aged 9 born in Uley, Gloucestershire. In August 1852 John resigned from being pastor in Thornbury because of his failing strength and the demands of the work in the outlying chapels. John’s wife Sarah was also in ill health. The 1861 Census shows the family had moved back to Suffolk and they were living in Heathfield Lodge, Midhurst near Chichester. John was the Baptist Minister there. They had three children living with them, Sarah Eliza was a teacher of music aged 22, John a chemist aged 21 and Martha H a scholar aged 7. In the 1871 Census the family had moved to 8 Kingswood Terrace, Portsmouth. John was a retired Baptist minister aged 67 and Sarah was aged 54. Their two daughters, Sarah a daily governess aged 32 and Mary H. a teacher of music aged 17 were living with them. They carried on living in Portsmouth until their deaths. Sarah died in 1896 aged 80 and John died in 1898 aged 94. Henry was born in Bethnal Green about 1816. In 1851 he was the Baptist Minister living at Atcombe Road, Woodchester. He was there with his wife, Ann born in Peterborough about 1814 and their sons, John Henry born in Gainsborough about 1844 and William born Tilney, Norfolk about 1846. He took over as Baptist Minister in Thornbury in 1853. The Thornbury Trade Directory of 1856 shows that Rev. Henry Le Fevre was living in St John Street and he was a Baptist Minister. However by 1856 it appears that he was living in Alveston. There was a notice published in the Bristol Mercury on 12th July 1856 advertising a Ladies College in Alveston. It added ‘The attention of Dissenters is particularly solicited to this Establishment where their Daughters may receive a liberal education‘. Applications had to be made to ‘Rev. H. Le Fevre, Alveston. Another notice published on 21st March 1857 shows that Henry was ‘quitting his residence at Alveston’ and selling off his furniture and personal effects. The 1861 Census shows that Henry and Ann had moved to Masham in Yorkshire where Henry was the Baptist Minister there. They had had a daughter, Ann Emma, born in Woodchester in 1852. We suspect that John was the one born in Devonport about 1813. He married Sophia Helston in Plymouth in 1838. Sophia was born about 1811. At the time of the 1841 census they were living in Tin Street, Plymouth. By this time John was working as a confectioner and they had had two children: John aged 1 and Thomas aged 4 months. The 1851 Census shows John was still a confectioner, but they had moved to Adelaide Street, Madron, Penzance. They had three children living them: John H aged 12 who was assisting his father in the shop, Sophia aged 5 (born in Truro) and Rachel aged 2 born in Penzance. He was living in a house in Gloucester Road. We can’t be sure which house but was described in the 1859 Rate Book (which the name of ‘Light’ was crossed through) as being a new house owned by John Williams. John Light resigned the pastorate of Thornbury Baptist Church on March 25th 1860. The 1861 Census shows John was a Baptist Minister in Dolton in Devon. He and Sophia were living there with daughters, Sophia and Rachel. The 1871 Census shows he was the Baptist Minister in Charlbury in Oxfordshire and the two daughters were still at home. By 1881 John had retired and he and Sophia returned to Devon to live in Plympton. Their daughter, Rachel was living with them. John died in 1884 aged 74 and Sophia died in 1886 aged 76. According to the Church’s history written in the booklet ‘250 Years’ John faced many problems amongst his congregation ‘especially with drunkenness, for which many members were dismissed from the Church. He speaks of a ‘barren year’, a year of ‘spiritual dearth’ etc’. We should point out that we believe that it was certain members of his congregation who had a problem with drunkenness, not John himself. The Church’s Minute Book show that John faced a number of problems leading up to his resignation in May 1871. A note in the Minutes Book in January 1871 expresses John’s hopes for the New Year; ‘May the Lord in his great Mercy grant that this year may be more prosperous than the last, that the Church may wake up from its long sleep and display more earnestness and devotedness of Christian men and women. Amen.’ On 3rd May the minutes mention that a long conversation was held on the subject of the financial state of the Church, there being a balance of £10 8s due to the Pastor. Mr Edwin Bevan appears to have been responsible for keeping the accounts and he was unable to satisfy the meeting. On 8th May John presented the Church with a letter giving notice that he would be leaving in September. There was obviously significant differences between him and his congregation and he felt that was ‘little if any prospect of cooperation, usefulness or happiness for me in Thornbury.‘ He refused to give details in the letter but he did defend his ‘manner and matter of my preaching‘. 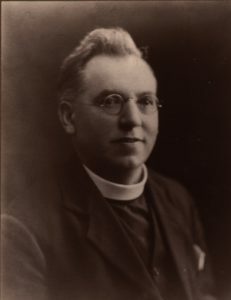 In the aftermath of his resignation Edwin Bevan was forced to give up his accounts books, return the money owed to the Church and be excluded from the Church. John was born in Oxford about 1815. In the 1851 Census John was a visitor at Leominster home of Maurice Jones, another Baptist minister. John was described as a Baptist Minister of Bristol. John moved to Thornbury to become the minister at the Thornbury Baptist Church in May 1860 for an annual stipend of £50. The 1861 Census shows he was living in Colwell Street Lane. We believe that he was sharing the house known as The Coombe in what is now called Gloucester Road. The owner of the house, the widow Hannah Parnell was also living in the house with four of her children. John was aged 45, married to Ann Elizabeth who was aged 35 and born in Norwich. John had married Ann Elizabeth Bowles in Norwich in 1854. By the time of the 1867 Rate Book John and Ann had moved to 9 Pullins Green. The 1871 Census shows them living there with a son, William Alexander aged 9. The 1881 Census shows that John was a Baptist minister living with his wife Ann and son William in Bradwell in Buckinghamshire. Their son, William, was working as a railway carriage finisher. 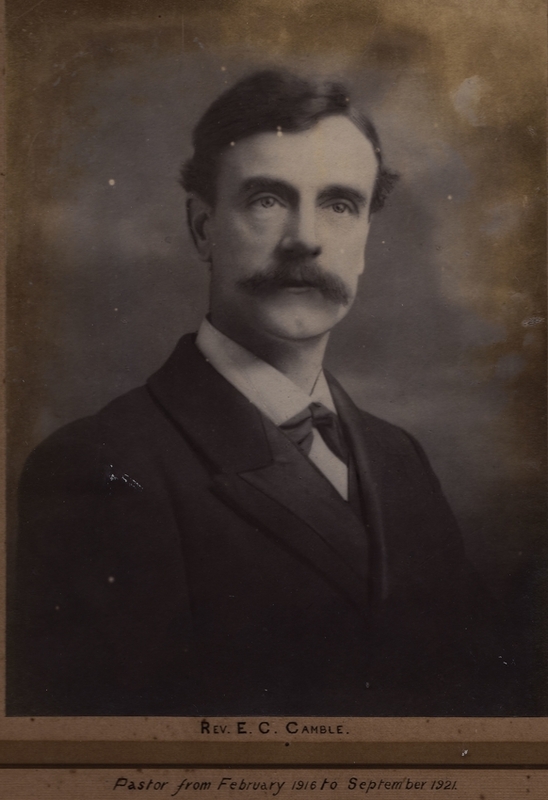 John remained there for the rest of his life and was still a Baptist minister in 1891 aged 75. He died on 13th December 1897 at New Bradwell in Buckinghamshire. He was aged 82. Probate was granted in Oxford to his widow Ann Elizabeth Mathews. George was born in Haverfordwest about 1838. We don’t know anything about his early life. The 1871 Census shows he had become a Baptist Minister at Hay in Powys. He was unmarried and aged 32. At that time he was one of two lodgers in the home of Mary Wiles, who was a ‘Minister’s widow’ aged 42 born in Eatington (or Ettington) in Warwickshire. The other lodger was a Calvinist Methodist Minister. Mary’s son, Valentine W. Wiles aged 7 was also living there. Within a year of that census George moved to take up office as Baptist Minister of Thornbury in 1872. The 1876 Rate Book shows George was living at 5 Pullins Green. The Rate Books from 1880 to 1910 show that George was living at 19 Pullins Green. The 1881 Census shows that Mary Wiles had also moved to live with him. She was described as an annuitant. The 1891 Census shows that George and Mary were still at 19 Pullins Green. In this census Mary was described as a housekeeper. Mary died on 20th July 1900 aged 72. In 1901 George’s housekeeper was Elizabeth Trayhurn, aged 18. We understand from the Baptist Church records that George gave up the ministry here in 1902. He had been instrumental in making several changes including the sale of the Cottage Chapel in Tytherington and purchase of land for a new Chapel there, and the purchase of land at Pigeon House Close in Thornbury allowing for the erection of the Schoolroom and extension of the burial ground. Following his retirement George appears to have lived in 19 Pullins Green until his death in 1910 aged 71 years, as he is listed in the 1910 Electoral Register. He was buried in the Baptist graveyard on 28th October 1910. Walter had been born in Redbourne, Hertfordshire about 1866, the son of William Reed, a farm labourer and his wife, Ann. Young Walter also started working as a farm labourer but by the 1891 Census he had become a Baptist Minister at West Drayton. He was living in the home of a greengrocer, Henry Honour and his wife, Sarah. In 1892 he married their daughter, Ada Eliza. She had been born in Cranford in Gloucestershire in 1867. They had two children: Gladys Ada born in West Drayton on 21st October 1892 and Marjorie Janet born in Wedmore in Somerset on 25th September 1894. At the time of the 1901 Census they were living at Grants Lane, Wedmore. Walter was a Baptist Minister aged 35. Ada was aged 34. On the death of George Rees the Baptist Church in Thornbury offered Walter Reed a salary of £80 per annum to become their new minister. The Reed family moved to Thornbury in 1903 and the children initially attended Mrs Webb’s School in Alveston. They moved on to the Thornbury Council Upper School, Gladys in 1903 and Marjorie in 1904. The school records also show that Walter was acting as ‘Guardian’ for a child called Eric Newmin who had previously attended school in Plumstead. He left the school because he was ‘under medical treatment’. It is interesting to note that the records show that Walter’s address at that that time was ‘The Plain’. We do not know in which house on The Plain the family lived. It is interesting to note that it was Walter Reed who founded the church’s Brass Band. He became personally responsible for buying the instruments. When Rev Reed died his widow offered the instruments to the church. We know from the rate books that his widow was living in 21 Pullins Green in 1905 and 1910 and she is also mentioned as the tenant in documents relating to the sale of the house in 1907. Gladys was withdrawn from school in 1907 because she was needed at home. By the time of the 1911 census Ada and her daughters had moved to live in 27 Great Western Terrace, Cheltenham. Gladys was aged 18 and working as a typist in a printers. Ada’s unmarried sister, Grace Honour, was also living with the family. Ada moved back to Uxbridge area where she died in 1924 aged 56. The two daughters also married in that area. William was born in Islington, London about 1851. He was the son of Joseph Young and his wife Eliza. Joseph was a type founders dresser and Eliza was a monthly nurse. Young William became a warehouseman for an ironmongers in Islington. On 22nd August 1875 William married Emma Lydia Elizabeth Titcombe at St James Church, Holloway. Emma was born on 8th August 1857 and baptised at St Marys Islington on 2nd September 1857. She was the daughter of Luke William Titcombe,a stationer’s traveller and clerk and his wife Emma Elizabeth of Upper Victoria Road, Islington. William and Emma had one daughter, Emma Louisa born in Islington area in 1876. The 1881 Census shows William was still working as a warehouseman although now specialising in furniture. By 1891 William had become a Baptist Minister at Sulgrave in Northamptonshire. The 1901 Census shows he was the Baptist Minister at Spratton village near Brixworth in Northamptonshire. They were living at the house called ‘West View’. They moved to Thornbury in 1906. The 1907 Rate Book shows that William was the tenant of 21 St Mary Street and sale documents for the auction of the house in November 1907 confirm that he was living there. A 1910 Trade Directory shows the he was a minister at the Baptist Church and that he was then living at Gillingstool. The 1911 Census shows that it was cottage called Ferndale in Gillingstool where they were then living. They were still being listed as living in Gillingstool in the 1914 directory. We cannot be sure where the couple went to after they left Thornbury, but we note that Emma appears to have died in the Tetbury area in 1918 when she was aged 60. We note that the South Gloucestershire Chronicle dated Friday 10th March 1916 includes a report on the farewell given to the old Pastor and the life history of his replacement, Rev. Camble. We hope to see this article at some time. Ernest was born in Bristol about 1877. He was the son of Charles Camble, a mason and his wife, Hanna or Anna. Judging from the birthplaces of Ernest’s siblings it seems that by that time the family had lived in several different areas around Bristol and Somerset. By the 1891 census the family had moved to Wales and they were living at 29 Oban Street, Cadoxton, Barry. 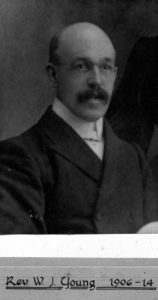 By 1901 Ernest had started working as a carpenter and the family were living at 36 Evelyn Street, Cadoxton, Barry. His father was then working as a building inspector. In 1904 Ernest married Blanche Gwendoline Williams in the district of Cardiff. In 1901 Blanche had been in service in Barry as a general servant. Ernest and Blanche had two children: Charles Edward R. born on 17th September 1904 and Winifred Annie in 1907. 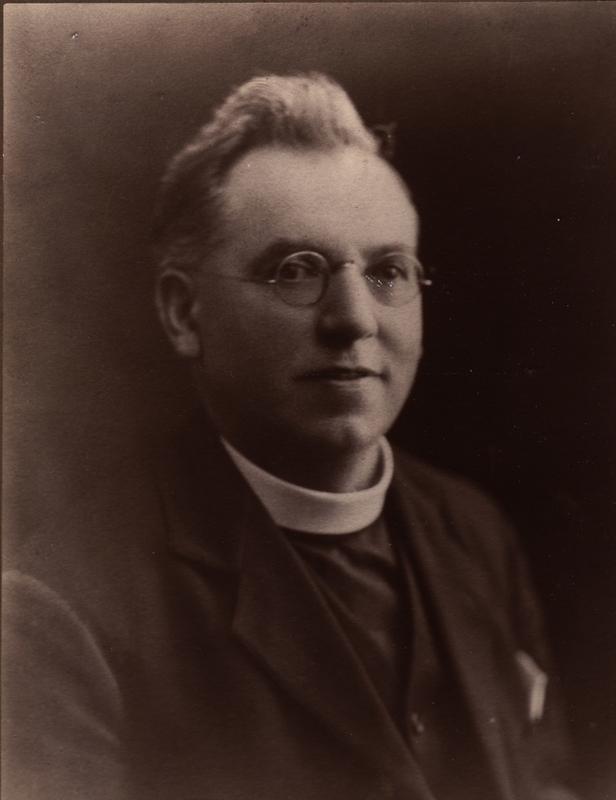 Ernest’s ministerial career, as shown on the Internet, shows he started as a Baptist Minister at Carmel Baptist Church in Llanharan from 1909 to 1911 and from 1911 to 1916 was at the Beulah Baptist Church in Aberaman. The 1911 Census shows Ernest and the family living at 42 Breda Road, Cardiff. He was described as a Baptist Minister and Insurance Agent aged 33. Blanche was aged 27 and born in Penarth. Ernest moved to Thornbury in 1916. The Prewett’s Directory 1916 lists Ernest as living in Gillingstool. We know from the admission records of the Grammar School that his son Charles started there on 17th September 1918 having previously attended the Council School. He left the Grammar School on 22nd July 1921 when he transferred to Gosport Secondary School. These records show that Ernest and the family were living at Ferndale Villa, presumably the same house as vacated by the previous minister, William James Young. 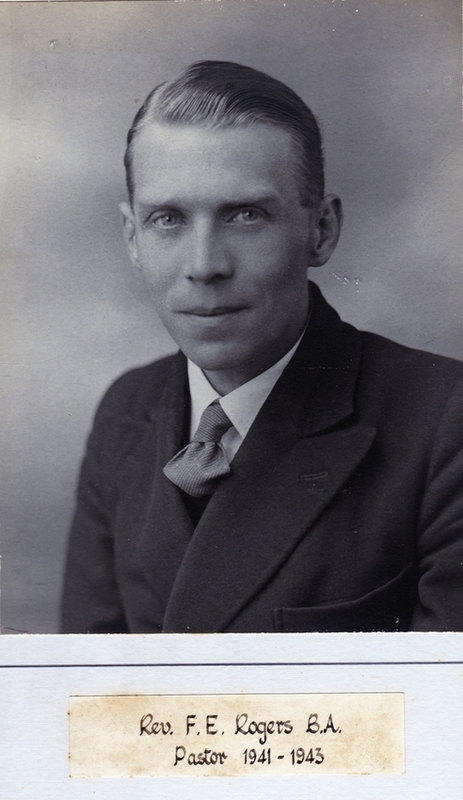 After leaving Thornbury in 1921 Ernest moved to become Baptist Minister at Victoria Street Baptist Church in Gosport. He was there until 1925 when he moved to Addlestone Baptist Church where he remained until at least 1936. We don’t know any more about Ernest but he died in Portsmouth in 1966. John was born in Glais, a village to the north of Swansea in 1869. In 1881 and 1891 he was living with his uncle and aunt, Phillip and Catherine Morgan, in LLansamlet another village near Swansea. By 1891 he was described as a student and Baptist Minister aged 21. In 1898 he married Sarah Davies who was born in Borth, seven miles north of Aberystwyth. The marriage was registered in Aberystwyth, so we suspect that they married in Borth. John and Sarah sailed for Australia shortly after their marriage and they had a son, Gwyn Morgan, was born in Petersham near Sydney in 1900. A daughter, Gwendoline was born about 1901. In 1904 the family sailed from Sydney to London. The passenger lists describe John as a Minister. They settled back in Wales. A son, Richard Emerson, was born in LLansamlet on 16th October 1904. A daughter, Olwen Valmar was born in Crickhowell on 15th March 1908. Another daughter, Vera Irene was born in Tonypandy on 19th December 1909. The 1911 Census shows the family living at 14 Evans Terrace, Rhonnda. John was a Baptist Minister. There was no sign of Gwendoline so she may have died. 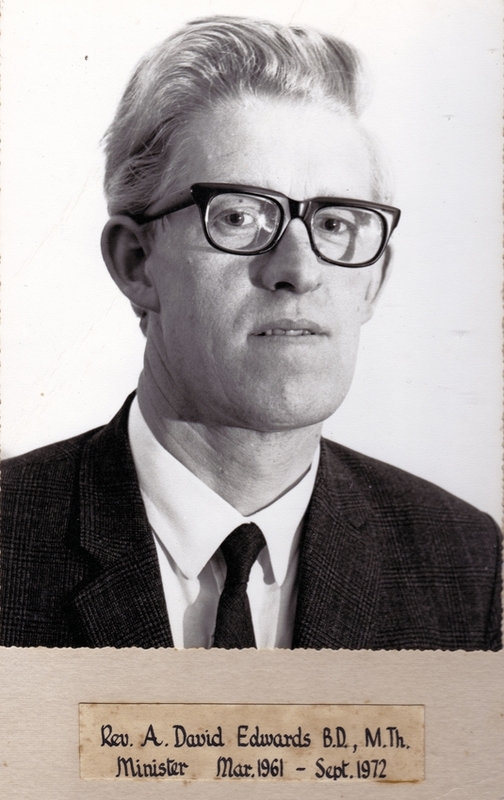 Another son, John Mervyn, was born on 17th November 1913 whilst the family were still living in that area. The Dennis family all moved to Thornbury in May 1922 when John took up his position as Baptist Minister. They appear to have moved there from Brayford in North Devon. Three of the children, Richard, Olwen and Vera were admitted to the Thornbury Grammar School at that time. Richard transferred from West Buckland County Secondary School and Olwen and Vera transferred from Brayford Council School. Richard left the Grammar School on 27th July 1923 having passed the Cambridge Senior Exam with distinctions in French and Drawing. He obtained a free place at Cheltenham Training College. His youngest brother, John Mervyn, attended Thornbury Council School, but followed his siblings to the Grammar School, being admitted there on 15th September 1924. All the school records, Electoral Register of 1927 and Prewett’s Directory 1926 show the family as living in Ferndale in Gillingstool. We don’t know where the Dennis familys moved to after 1927. During the War, John and Sarah’s son, John Mervyn, joined the RAF and won a Distinguished Service Order. A report appeared in the Gazette on 24th June 1944 referring to Acting Squadron Leader John Mervyn Dennis D.F.C. R.A.F.O. (No 7 Squadron) as having been a former pupil at the Grammar School. He had left school in 1929, joined the clerical staff of a Bristol firm but left to join the RAF. He was commissioned in 1939 and awarded DFC in 1941. He had spent four and a half years in the Middle East. He gained his DSO as a Captain of a formation of aircraft detailed to attack the railway junction at Chambly one night. He pressed home his attack with great accuracy and notable skill regardless of the enemy’s defences. Winton was born in Worcester on 26th October 1898, the son of William Dove Johnson, a printer’s compositor and his wife, Elizabeth. During the First World War Winton joined the Royal Engineers as a driver on 21st October 1916. At the time he joined up he was a clerk living in Worcester and was 5ft 5 1/2 inches tall. His service record shows he was wounded by shrapnel in his head, buttocks and left shoulder in 1918. He was discharged on 22nd January 1919. Winton married Dorothy Irwin May Bishop in Mundelsey on Sea in the Easthampstead area on 21st April 1926. Dorothy was born on 18th December 1901 at Ascot, the daughter of Herbert William Bishop and his wife Augusta Julia Sophia (nee Matthews). The Johnson’s moved to Thornbury in 1928 and lived in Gillingstool, presumably in the house called Ferndale, which was used by Winton’s predecessors. We don’t know where the Johnsons moved after they left Thornbury. Winton died on 5th August 1979 at Kingston on Thames. Dorothy died on 31st July 1993 at Wretton in Norfolk. The Church booklet 250 Years (from which the photo on the left is taken) shows his initials as’ F.E.’ and gives his term of office in Thornbury as 1941 to 1943. However the the Rev Harry Tymms in the same booklet refer to ‘Joe Rogers’ and he was ‘a young Welshman who became Minister at Thornbury in 1938 just before the war broke out.‘ He added that ‘Joe was a very dynamic preacher and that very soon many local people were attracted to the services‘. It was Mr Rogers who had baptised Harry Tymms on 6th March 1941. In the same booklet Hubert Spill recalled that Pastor Rev. Joe Rogers had told him that he was the first male he had baptised. He said Joe was a dramatic preacher and walked about a lot in the pulpit, one day falling out, down the steps. Fortunately no injury was sustained and getting up, he returned to the pulpit, preaching as he went up the steps. 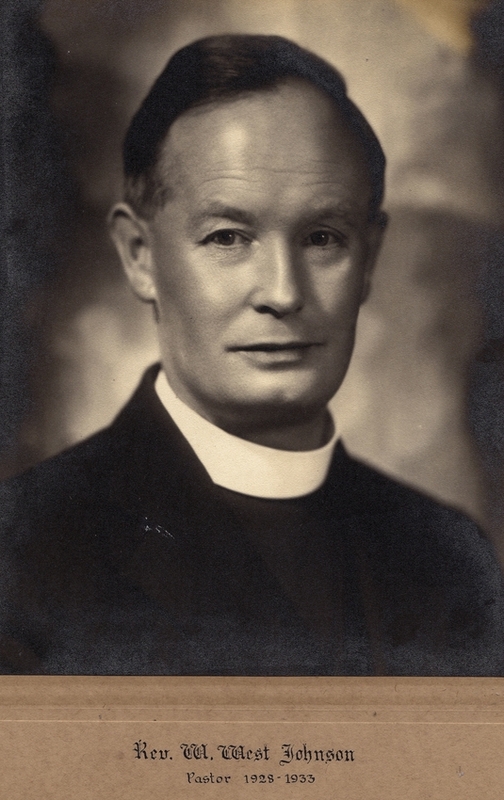 Church records confirm that it was ‘Joseph E Rogers’ who was appointed Minister. Church Minutes show that the Church had not had a full time minister for several years. Joseph Rogers was a young man, born in Bedwelty area of Wales in 1911. We don’t know anything about his family background but we know from a newspaper report that he studied at Cardiff University where he obtained his B.A. degree. ‘Joe’ as he was known by the congregation became a Student Pastor at Bristol Baptist College, and it was arranged in October 1940 that whilst he was at College he would come to Thornbury on two Sundays each month and Tytherington and Morton on the third Sunday. He was paid a stipend of £2 per week. 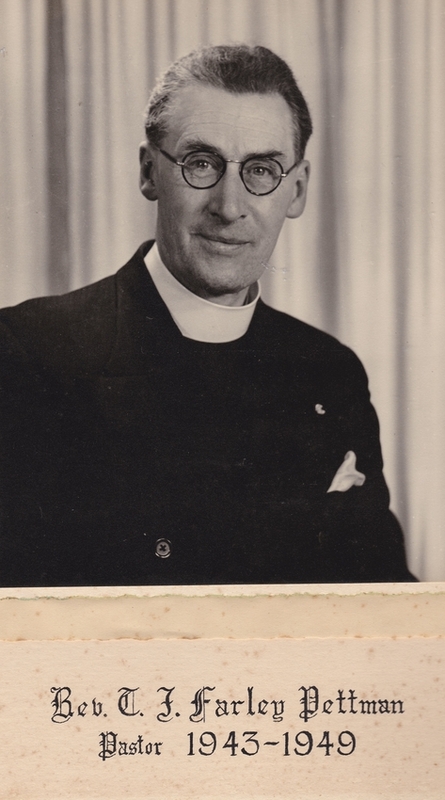 In February 1941 Joe was ordained and invited to become full time pastor and given a stipend of £3 per week. He was the first minister ever to be ordained there. In March 1942 he moved into the Manse in Severn Drive. This building had been purchased by the Church in 1939 but there had been another tenant living there previously. In January 1943 Joe gave three months notice of his resignation and moved to Station Hill Baptist Church in Chippenham in April. Tragically he died on 9th December that year after a short illness. He was aged only 32. Thomas James was born on 13th June 1894, the son of Harry Farley Pettman, a grocer and his wife, Fanny. The 1901 and 1911 Censuses both show the family living at 4 Clifton Road, Folkestone. Thomas’s mother and her unmarried sister, Elizabeth Ann Summers, were running a lodging house there. In the 1911 Census Thomas was still at school aged 16. On 12th January 1917 Thomas joined the Royal Marine Artillery. A newspaper cutting from the period when he joined the Baptist Church tells us that he served for ten years in the Royal Marines. We don’t know any more about his service career or when he became a Baptist Minister. It must have been before 1934 because at that time he was living at The Manse, Ernest Road, Yiewsley, West Drayton. In 1937 he married Kathleen Leggatt in Poole. Their address in 1938 was Cayton, Hennings Park Road, Poole. Kathleen died in 1940 aged 39. In 1942 Thomas married again. His second wife was Trixie E Barnes and they were married in Poole. They had a daughter, Beryl born there in 1943. The newspaper article mentioned earlier says that Thomas ministered for five years at the Winton Baptist Church in Bournemouth before moving to Thornbury. We understand that Thomas had belonged to a number of societies connected with the Baptist Church and that he had a reputation for successful work with young people. The family moved to live in Thornbury at some stage in 1943 when he became the Baptist Minister here. The 1946 and 1950 Electoral Registers show that they were living in the Manse, in Severn Drive. In the Church’s 250 Year booklet Hubert Spill recalled how Thomas used to travel around the town on an auto-cycle which he called ‘Pop Pop’ and that he later had an Austin 7. We can’t be sure what happened when Thomas left Thornbury. We note that the birth of their son, Keith, was registered in Weston Super Mare in 1952 and that Thomas died in Poole in 1973 and Trixie died there in 2002 aged 86. We assume that Oscar was the Oscar William Rowling Smart who was born in Southwark, London in 1892. His was the son of William Henry Smart, and his wife Sarah Mary. At the time of the 1911 Census the family lived in Marsden Road, East Dulwich. William Henry was a ‘Corrector of the Press’ and Oscar was a library assistant aged 19. In March 1915 Oscar enlisted in the Royal Army Medical Corps. He served in France and was discharged in April 1919. In 1921 he married Doris A Brooker in Camberwell area. The post office telephone directories provide an idea of his movements. He appears to have lived in Streatham in London between 1936 and 1939. During this period he is listed only as ‘Oscar W. Smart’, but from 1953 onwards he is listed under the title ‘Revd. 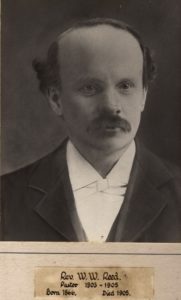 Oscar W. Smart’. We know that he became Minister of the Thornbury Baptist Church in 1951 to 1953 and the post office telephone directory for 1953 shows his address as ‘The Manse, Severn Drive, Thornbury’. After leaving Thornbury in 1953 Oscar seems to have gone back to the South East but his job seemed to keep him on the move. He was living in Thanet in 1958, then in Dartford up to 1963, and in Eastbourne in 1964, but moved again to West Norwood, Croyden, and then finally to West Norwood in Croyden. We believe Oscar died in 1972. 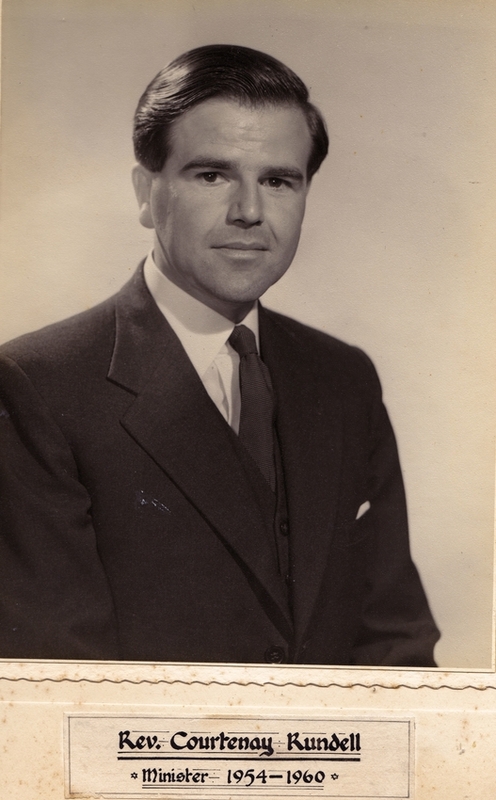 William Courtney C. Rundell was born in Richmond Hill, Truro on 23rd July 1925. He was the son of Frederick O. Rundell and his wife, Carrie (nee Thomas). He appears to have become known as ‘Courtney’, at least during his time in Thornbury. 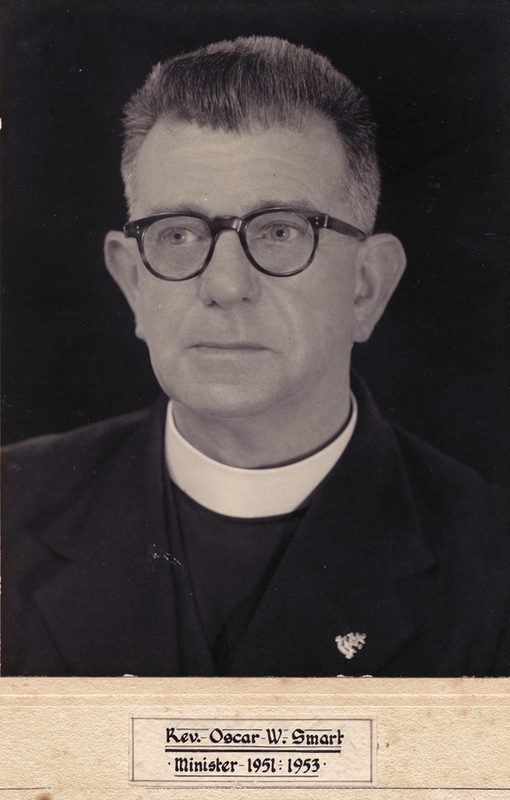 The records of the Baptist Church indicate that he moved to Thornbury in 1954 and continued as Minister until 1960. The 1958 Electoral Register shows William C and Daphne Rundell were living at the Church’s Manse at 2 Severn Drive in 1958. Courtney married Daphne C. A. Quintrell in Falmouth on 2nd August 1956 and they had three children over the next few years, whose births were all registered in Falmouth: Catherine in 1957, Sally in 1959 and David in 1961. Courtney died on 8th August 1987 in Redruth aged 62. David became the Minister at Thornbury Baptist Church in 1961 and continued in office until 1972. The 1961 Electoral Register shows he was then living in 40 Castle Street. In 1963 he married Norma M Matheson in Thornbury. David’s full name was Arthur David. The 1965 Electoral Register shows that David and Norma had moved to live in the Church’s Manse, then numbered 4 Severn Drive. We understand that whilst in Thornbury David took a Doctorate and left the position in the town in 1972 to become a tutor at the Bible Training College in Glasgow. In the Church booklet ‘250 Years’ David’s widow recalled how he was often confused with his look-alike — Dr. John Whallett. This caused some hilarity, as David was given the medical problems and John the theological ones! In more recent times the Rev. Alan Butler became Pastor of Thornbury Baptist Church in November 1976 and served there until the Summer of 1984. In September 1993 Kenneth Payne moved from Rhyl Baptist Church to take up the pastorate in Thornbury.